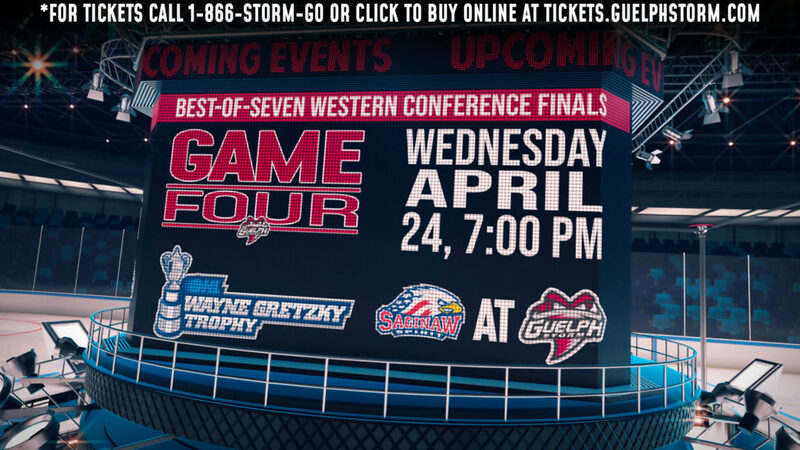 There were more than a few eyebrows raised when the San Jose Sharks selected Guelph Storm defenceman Ryan Merkley 21stoverall pick in the 2018 NHL draft. There isn’t a scout alive that wouldn’t acknowledge the incredible offensive instincts of the young man but there were worries about his attitude, the ability to control his emotions, and his lack of attention to detail in the defensive end. But San Jose looked past those potential flaws and called his name. From that day it now appears they put a plan in place to help the 18-year-old work through those issues so his offensive talent could take centre stage. Merkley went to training camp early and they placed him with Norris trophy winner Brent Burns. He lived with him, went to the rink with him and started to get a taste of what it is like to be a professional hockey player. It is a huge investment on the Sharks part. A first round pick is the future of your franchise so ensuring that Merkley gets off on the right foot is crucial. 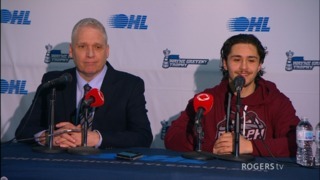 The fact they were quick to sign him was also an indication they wanted to be able to have the final say when it comes to attitude, effort and growth even as he continued his hockey apprenticeship in Guelph. And it was fun for the young defenceman. As for the young defenseman’s best moment? “Probably my first shift in an exhibition game where I rubbed out Getzlaf, I thought that was pretty cool. He’s a big boy, I was pretty scared for the rest of the game,” he said with a laugh. 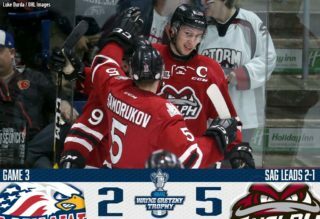 From the Land of Oz … The Storm won both their games on the weekend downing Owen Sound 6-2 with a five-goal outburst in the third period. 2018 draft picks Daniil Chayka (1st) and Ty Collins (2nd) each scored their first OHL goals. 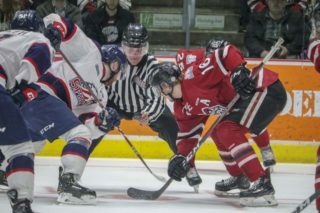 In Saginaw Saturday they cruised out to a 5-0 lead before needing Cedric Ralph to complete his hat trick in overtime to secure an ugly 6-5 win. 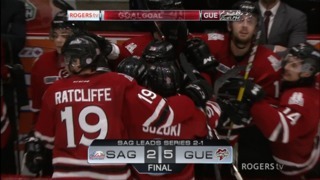 Guelph goaltender Nico Daws picked up his first win of the season. In that game Merkley had a horrendous giveaway right in front of his net with less than 10 seconds remaining to set-up the game-tying goal. Now to be fair he had to be exhausted with all his travel from San Jose but it was also another reminder that sometimes the safe, boring play is the right move deep in your own end with the game on the line.